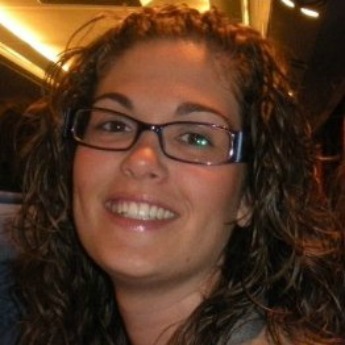 Teresa Savall Morera is a young researcher in the Research Institute on Social Economy (IUDESCOOP) of the University of Valencia. She has a pre-doctoral fellowship from the Spanish Government, Ministry of Education, Culture and Sports. She has a Degree in Economics from the University of Valencia, for which she won the Extraordinary End of Studies prize. She received a Master degree in Social Economy from University of Valencia. She is working on her PhD in the official program on Social Economy (cooperatives and non-profit) at the University of Valencia. SAVALL, T. (2013): “Análisis de la participación de la economía social en el diálogo social”, Revista Vasca de Economía Social, nº 9, pp. 111-141. CHAVES, R. y SAVALL, T. (2013): “La insuficiencia de las políticas de fomento de cooperativas y sociedades laborales frente a la crisis en España”, REVESCO, Revista de Estudios Cooperativos, nº113, pp. 61-91. In the present circumstances, we have an employment and credit crisis. There are also social changes in families that make sustainability of public services difficult. It not only happens in Spain. In this context, the aim of this project is to research the potential of firms belonging to social economy, going into detail about firms which focus on policies to create employment and welfare state. The Social Economy (SE) is a third sector in economies, it is instrumental in regulating social innovation and social and economic imbalances, such as employment and the provision of social services. From this perspective, increase the space given to the social sector in the policies of governments is a logical choice if we want to get higher levels of welfare. First we make a compilation and analysis of policies Social Economy. The assets subject to the policies of Social Economy and degrees of involvement of the social economy in the process of developing these policies are analysed from a multilevel perspective comparative (national, regional and international). The effectiveness of social economy policies will be evaluated, addressing both the specific instruments such as the models constructed effect. Finally we develop a set of policy tools with recommendations for political and social agents.